Original unframed watercolor, inspired while visiting the Museum of Art, NOLA. 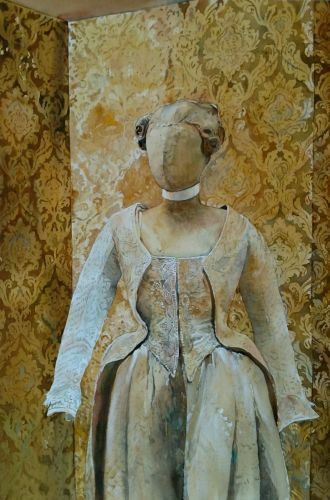 Eighteenth century mannequin clothed in Venetian morning dress. 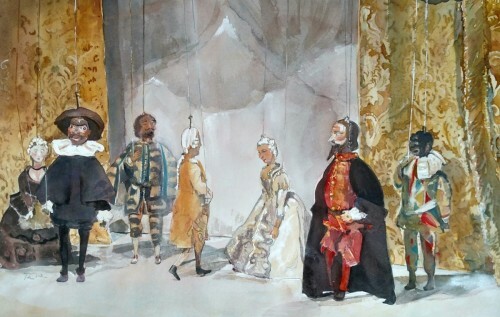 Original unframed watercolor, 18th century marionettes on display at New Orleans Museum of Art. Accompanying catalogue notes the comedic play "The Servent of Two Masters" is about a father's promise of marriage. Love the costumery... brocade, silk, wool, felt and lace. Original unframed watercolor, French Quarter ladies boutique in New Orleans. This work was painted from the memory of my recent stroll on Royal Street. 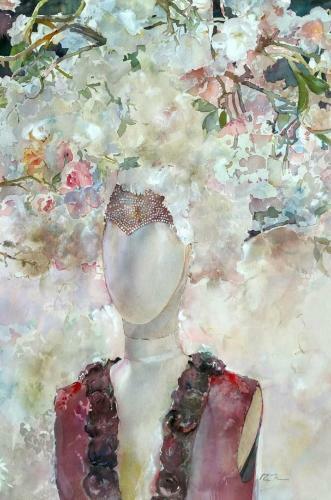 Original unframed watercolor, gossamer gown displayed within the fashion house of Alexander McQueen. 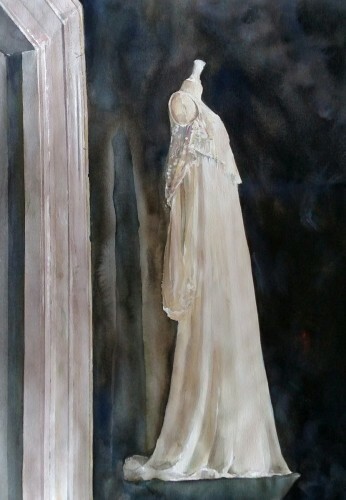 Original unframed watercolor, storefront mannequin displaying debutante formalwear. Original unframed watercolor, complement to The Tailor's Mistress (female counterpart in this series). 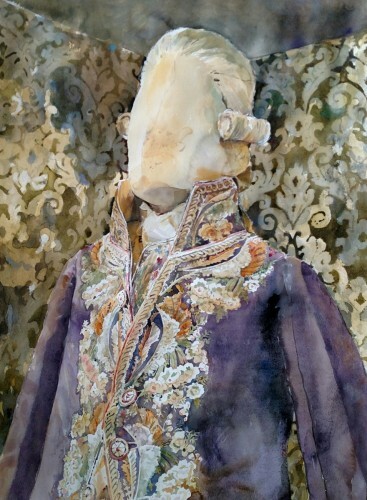 This painting of a handsome mannequin is inspired by European clothing from the 1700s.